Sales manager Kyle Hislop is helping Royal LePage Wheeler Cheam agents stand out with an innovative view of homes in the Chilliwack area. Agents at the brokerage are gaining business through the use of video produced from a high-flying drone and graceful walk-through tours that appear to float from room to room. “Our agents are winning listings and homeowners are getting results with our super slick video productions,” says Hislop. The recent success is the result of Hislop’s savvy marketing idea and brokerage owner Stuart Muxlow’s investment in state-of-the-art video technology. The brokerage’s investment includes a remote-controlled drone that shoots stunning aerial video of a home’s exterior and geographic setting. For interior shots, an ultra wide-angle motion-stabilized camcorder is employed, shooting high-definition home tours. The resulting video from both the aerial drone and interior “steady camcorder” is smooth, slick and effortlessly takes viewers on a home tour like no other. 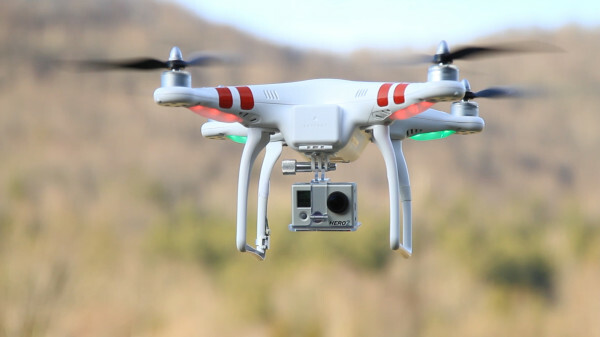 The Phantom Aerial UAV Drone Quadcopter is designed for aerial photography. The device is operated by a hand-held radio frequency control unit, with two joysticks. It interfaces with video display on a smartphone, so you can see exactly what the device camera sees. Royal LePage Wheeler Cheam is reaping the benefits as are the homeowners who come to them for a video marketing advantage. Kudos to the entire Wheeler Cheam team!